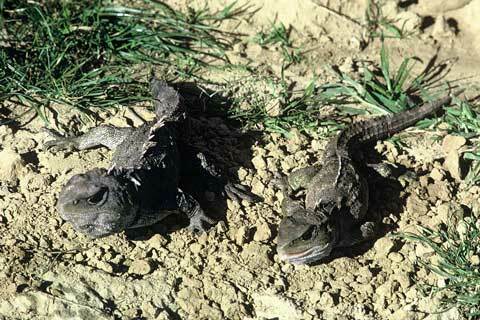 These tuatara were photographed on Stephens Island, Cook Strait, in 1972. The male (left) has a more prominent crest of spines along its back, neck and tail, and is larger than the female. Adult males typically weigh about 700 grams, and females 450 grams.